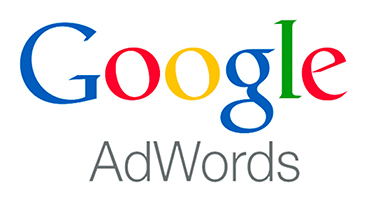 Google Webmaster Adds Per Page Search Keywords! Just in time for the holidays the Webmaster Tools team has updated the “Search queries” and “Links to your site” features. Throughout the past year we’ve made some significant changes to the search queries feature in Webmaster Tools. We’ve received lots of feedback about this tremendously popular feature. One frequent request we heard was that people wanted to be able to see search queries data for their site’s individual pages. Well we totally agreed that this would be useful and promptly set out to add this functionality to search queries. The fruits of our effort have finally ripened enough on the vine and are ready for you to enjoy. Now when you visit the search queries feature in Webmaster Tools you’ll see a new tab titled “Top Pages”. The “Top Pages” tab lists impression, click, and position data for the top pages on your site based on their performance in Google’s search results. If you click on one of the individual pages listed you’ll see a list of the queries driving traffic to that page along with impressions and number of clicks for each query. Just like in the “Top queries” view, you can click on a specific query to see more detailed data and evaluate how the query is performing across the whole site. To make filtering in search queries even easier, we’ve added pie charts to show visually the proportions of search type, location and traffic. Also in the “Top queries” view, you can now specify “containing” or “not containing” when filtering queries. Links to your site now shows when a particular URL redirects. If there’s a link to your site that links to URL1 which then redirects to URL2, we are now showing the link from URL1 to URL2 as an intermediate link. We also added a “Download all links” option to all the tables in the links to your site feature.